When Emma Rouault marries dull, provincial doctor Charles Bovary, her dreams of an elegant and passionate life crumble. She escapes into sentimental novels but finds her fantasies dashed by the tedium of her days. Motherhood proves to be a burden; religion is only a brief distraction. She spends lavishly and embarks on a series of disappointing affairs. Soon heartbroken and crippled by debts, Emma takes drastic action with tragic consequences for her husband and daughter. When published in 1857, Madame Bovary was embraced by bourgeois women who claimed it spoke to the frustrations of their lives. Davis's landmark translation gives new life in English to Flaubert's masterwork. Lydia Davis (translator) is a MacArthur Fellow, National Book Award finalist, and Chevalier of the Order of Arts and Letters and was awarded the 2003 French-American Foundation Translation Prize for her translation of Marcel Proust's Swann's Way. She lives near Albany, New York. "[Flaubert's] masterwork has been given the English translation it deserves." "[Davis] has a finer ear for the natural cadences of English, in narrative and dialogue, than any of her predecessors, and there are many moments in her Madame Bovary when one pauses to admire how clean and spare a sentence seems by comparison with its earlier translated versions. . . . Only a very good writer indeed could have written it. . . . The bones of the original French show clearly through her English, and the rawness of her translation is, on the whole, invigorating." "How tickled Madame Bovary herself would be by the latest homage paid to her. . . . I'm grateful to Davis for luring me back to Madame Bovary and for giving us a version which strikes me as elegant and alive." "Flaubert's obsessive masterpiece finally gets the obsessive translation it deserves." "Davis is the best fiction writer ever to translate the novel. . . . [Her] work shares the Flaubertian virtues of compression, irony and an extreme sense of control. . . . Davis's Madame Bovary is a linguistically careful version, in the modern style, rendered into an unobtrusively American English." "Davis captures with precision the sensitivity of the novel's language. . . . [Her] version . . . ultimately demonstrates her own empathy with Emma." "At last, the real Madame Bovary . . . The publication of the Davis version is an event. . . . Davis has come closer than any previous translator to capturing Flaubert's style and content accurately for English-language readers. . . . Her version benefits from her finesse as a writer and seems fresh and different compared to other translations." "Davis has produced a very fine [translation that] displays a cool detachment not at all dissimilar to Flaubert's own." 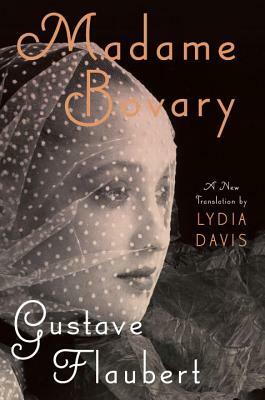 "Davis [is] operating in top form in her new translation of Madame Bovary. . . . I was struck delirious by the force of Flaubert's writing, and the precision (the perfection) of Davis's translation." "Davis's edition should bring a new generation to Flaubert's classic of bourgeois ennui and adultery." "A new translation that spans the ages [and] hews as close to the original as may be possible. . . . Davis's translation strives for-and largely achieves-the flavor of Flaubert's realism. . . . It provides such an unfussy, straightforward narrative that it underscores how truly modern a writer Flaubert was." "Davis has forged a masterpiece out of a masterpiece. . . . This Madame Bovary is a veritable page-turner. . . . In French, the story leapt out at me like a hallucinatory Technicolor poem; in the lapidary English of Lydia Davis, I receive the same frisson of recognition-that the novel still lives. . . . Thanks to Lydia Davis, the book remains: a great, companionlike, eternal gilded mirror of Flaubert's world." "Davis . . . does a brilliant job of capturing Flaubert's diamond-hard style. . . . Davis's English prose has precisely the qualities she notes that Flaubert was striving for in French; it is 'clear and direct, economical and precise.' This translation reminds you what an aggressively modern writer Flaubert is." "[Davis] is one of the most innovative prose stylists of our time, and thus an excellent match for Flaubert's masterpiece. Flaubert's sentences are certainly sonorous in French, and the sentences in this translation reveal a similar attention to sound. . . . We are in debt to Flaubert for his influence on much of the writing we have today; the extent of our debt has never been so clear." "[Her] capacity to make language unleash entire states of existence reveals the extent to which Davis's fiction is influenced by her work as a translator." "Few writers now working make the words on the page matter more." "Davis is the best prose stylist in America." "Swann's Way is transformed into something even more enchanting in Lydia Davis's new translation." "Davis is closer, much closer, to Proust's French. . . . [Her] Swann's Way is one of those translations . . . that put the question of languages out of your mind, and leave you only with questions of language." "Accessible and faithful to Proust. Davis replicates the hesitations and digressions, the backward looks and forward glances that swell Proust's sentences and send them cascading to their conclusion-without sacrificing the natural air of his style." "Davis is an extraordinary technician of language, capable of revealing elusive human tendencies through the most unusual means." "[Davis] commands language and imagery, playing the reader like a master." "The subtleties of the French language, in spite of their difficulty, hold no secrets from you. . . . No literary genre deters you. You helped to make known to the English-speaking public some of the finest French literature of the century. . . . You have found a way not only to put your many talents at the service of the French language and culture, but also to place your stamp on the literary legacy of our times."